Save SAR 6 (60%) – Earn 0 Shukrans What is Shukran? Shukran is the Landmark Group’s award-winning loyalty programme in the Middle East, which allows you to earn Shukrans when you shop any of our brands. 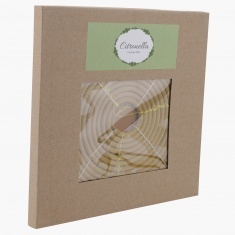 Create a soothing ambience in your living space by getting this citronella incense stick set. The fresh fragrance of citronella instantly spreads a wave of positivity and heightens the aura of your living space.